Whether you are a fashion retailer, 3PL, food seller or manufacturer of electronics, product presentation is crucial to ensure your parcel impresses the end user and delivers a great brand experience. Great-looking packaging helps to complement the quality of your products, and demonstrate brand credibility during the online shopping experience. But with increasing pressures to improve efficiency by packing more in less time, product presentation can sometimes take a back seat. 1. 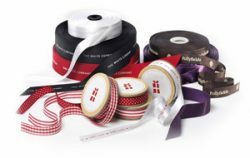 Elastic ribbons – Elastic ribbons are easy and quick to put around your box. You can also add a personalised touch by printing your message, company name or logo onto the ribbon. It gives a simple but effective finish to your gift-wrapping! 2. Boxes with pre-applied ribbon bow – Using boxes with a pre-applied ribbon bow will significantly improve speed of packing whilst ensuring packs are consistent and neat. 3. Printed packaging – Using a crash lock box printed with a design or personalised message on the inside or outside is another great way to ensure beautiful presentation in a shorter timeframe. Crash lock boxes do not require taping and are easy to store and erect. 4. 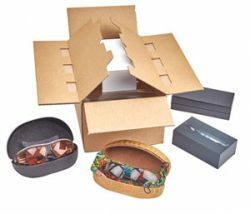 Boxes with magnetic closure – A magnetic closure secures the contents inside the box and eliminates the need for packing tape, making your packaging look neat and stylish! They can also come with a ribbon added, for enhanced presentation. 5. Tissue and shredded papers – Placing tissue or shredded paper inside your packaging helps to lift your product presentation to the next level. 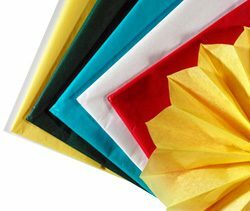 Tissue paper can be branded with your company name and logo for that extra personalised touch and heightened customer experience with your brand. 6. Korrvu packaging range – The innovative Korrvu packaging range can help you to create more output in less time while ensuring superior product protection throughout the entire supply chain. Korrvu packaging uses a highly-resilient film to firmly hold products inside the box, eliminating the need for additional void filling and ensuring smart in-box presentation of your products. Contact Macfarlane Packaging today and find out how we can help your packaging to deliver that desired WOW factor.